Forge Motorsport Wastegate Actuator - Pann Auto Performance - San Diego largest aftermarket automotive performance parts - What do you drive? Designed by Forge to replace the original component this uprated actuator is serviceable and guaranteed for life. This product is built with a predetermined actuator spring suitable for at or slightly above factory boost levels. 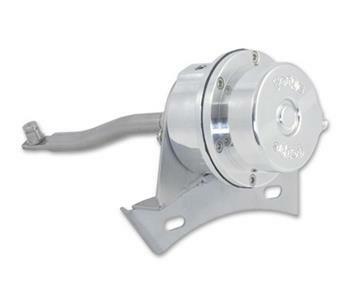 Manufactured from Billet Aluminum and Laser cut stainless steel brackets ensure OEM like fitment and performance. The actuator can be assembled with a stiffer spring upon request. Please contact us directly concerning this process.